It’s high school graduation time, and the kids are ready to cut loose. They’re going to drink anyway, you reason, so shouldn’t they be doing it in the safety of your home? 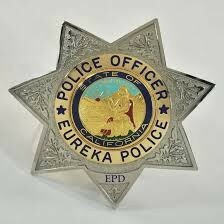 NO, says the Eureka Police Department. Thanks to a social host liability law, passed by the Eureka City Council in 2014, you could be fined a minimum of $250 for serving minors in your home. And if the cops have to come back for the same problem within a year, they’ll ask you to pick up the tab for their services on top of subsequent charges of $500 for the second offense, and $1,000 for a third time. The ordinance came in response to what Humboldt Allies for Substance Abuse Prevention called “alarming rates of underage drinking along with related risk behaviors and consequences.” According to the 2014 California Healthy Kids Survey, most high school-aged children in Humboldt County were drinking in private homes, with and without the knowledge of their parents or guardians. The survey also reported that in 2013, 17 percent of ninth graders and 30 percent of 11th graders reported binge drinking within a 30 day period. Over half of all 11th graders reported that they had obtained alcohol from adults in their friends’ homes. Underage drinking is not only dangerous – increasing the likelihood of alcohol poisoning, risky sexual conduct and vehicle accidents – it is also expensive, according to the Eureka Police Department. In 2013, around half of the calls to underage drinking parties required three or more officers for two or more hours. Police departments may also have to transport underage drinkers to juvenile hall, if they cannot locate an adult to release them to. ASAP has mailed out fliers on the penalties of serving underage drinkers to Eureka residents. So, have things improved since the ordinance came into place? The evidence isn’t clear. “Anecdotally, it appears the number of party disturbance calls has decreased since the ordinance passed,” said Brittany Powell, EPD’s public information officer. Officer Corrie Watson, who worked on the initial ordinance, said there are a number of factors at work, including a variation in “party trends,” and evictions of tenants from specific “party houses” that are unrelated to the ordinance. Powell confirmed that, so far this year, EPD has received 32 calls for service for party disturbances. In 2015, there were 103 and in 2014 there were 128. Over the previous two years, the months of July, August and September accounted for about 40 percent of the years’ total disturbance calls. Not all of these disturbance calls were related to juveniles. Contrary to what you might expect, Powell reports that June is actually a slow time for these types of calls. Watson said she notices an uptick in September, when students are getting ready to start college. To date, no citations have been issued as a result of the ordinance. Don't provide alcohol for minors and become the first one.